The process of making a concert come to life is an interesting one that involves a lot of people! First the music is selected for each of the choirs to learn. Choosing music that is educational, appropriately challenging for each choir, having contrasting styles and tempos so as to be appealing to students and audience members alike are some of the goals. Usually hundreds of pieces of music are sorted through to come up with the 18-20 songs selected for the concert. Second and most importantly, the music is taught over a period of about 10 weeks. For some choirs this is a once a week hour long rehearsal, for the show choirs, an additional hour and a half is added weekly to learn choreography for the songs. This process of studying the music and learning vocal technique and musical understanding through each song is where the joy of teaching and learning choral music comes. The comradery among choir members as they learn to blend and create unique and beautiful sound is also a personally fulfilling component of the choir experience. I had to pause to take a picture this week of the Gracenotes Girls feet during our warm up. Being multi-taskers as they are, as we were singing several girls spontaneously placed their feet in “first position,” and the quirky idea spread quickly as they all joined in line. It seemed like a bonding moment, so I pulled out my phone to snap a picture. Not missing a beat, they rapidly linked arms, wove hands, and created an even more symbolic representation of the connection they feel as friends and singing companions. I loved it when one late arriver was quickly instructed how to join the group, as she hurriedly threw off her coat and backpack. They did not want a picture without the complete choir, and I didn’t want to take one either after they had refined their pose so particularly. These girls have bonded musically and as a choir, and you can hear it in the way they sing, and see it in their faces as they dance. These simple experiences build kids up, and make memories that last a life time. Choirs are so good for people for so many reasons! Back to the creation of a concert. The third aspect is the production process. After all that work to learn music, we naturally want to share it. Rehearsals are scheduled in the performance venue. Volunteers set up and decorate the stage, set up sound equipment, and program lighting. This year we are borrowing risers from the Sherwood School District, and learning how to work in a new space at the Sherwood Center for the Arts. We have hours devoted to working out timing and technical issues. We have a script written to connect the music thematically and our MC Dave Sweeney will help us present it. In past years the concerts have been “shows” with a story line, props, sets, costume changes and A LOT of extra rehearsal outside of choir rehearsals. This year we are returning to an old format, and just focusing on the music, simplifying the script and eliminating 2 evening rehearsals. Since our venue is larger than previous years, we are only doing one show, and we’ve changed the time to late afternoon, all to help decrease the VPA footprint on busy families in the month of December. We’re sure the concert will be very engaging because the music is first rate, and the students will be well prepared and versed in the art of “selling” a song. We want to “Wish You Christmas” through our music, and we hope it will help you catch the “Spirit of Christmas”. See you Dec. 12 at 4 pm! Please join us on Saturday, December 12th, 4:00 PM at the Sherwood Center for the Arts. Reserved seating tickets for $10 may be purchased in advance at vpafoundation.org. Note that this year there will only be one concert presented and seating is limited. Buying your tickets early is advisable. 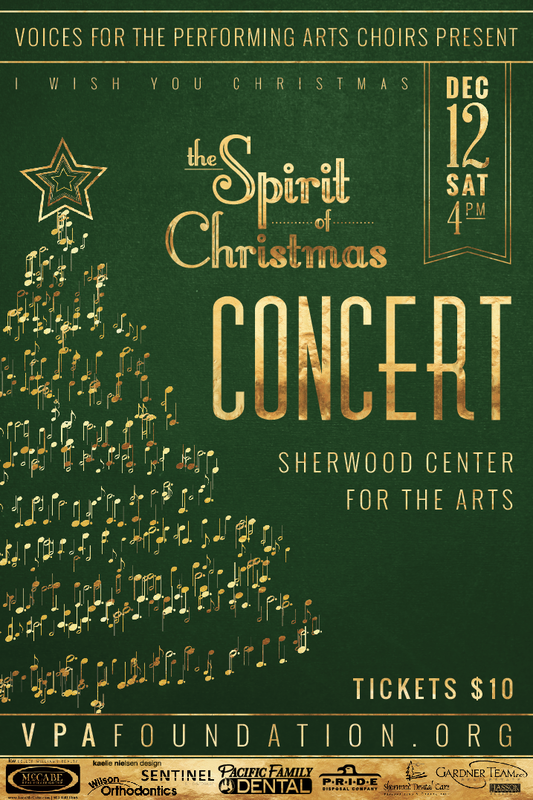 This year’s concert will feature the Sherwood Chorale and Sherwood Children’s Chorus which were the first choirs formed by the organization, as well as 6 other choirs that have developed over the years. Singing Christmas music is a highlight of the year for many members of the Sherwood Chorale. Many Chorale members make it a point to sing during the Christmas season, even if their schedule is tight and they find it hard to fit in. To them it’s just nice to have a venue and opportunity to sing music of the season without any restraints imposed. As per tradition, the concert will begin with secular music focusing on the fun aspects of Christmas that traditions are built on, and the last half of the concert will bring in the sacred carols and songs of Christmas mentioning the birth of Christ. The theme “I Wish You Christmas” taken from the last song of the program will be the backdrop to bring the “Spirit of Christmas” into the concert and hopefully into the people who attend. With over 110 people performing in the concert it will be visually entertaining and musically exciting. Besides the original choirs mentioned, 3 Show Choirs will sing and dance, the Noteworthy Boys and Sherwood Girls Choirs will share their own brand of choreography and song, and the Notables Girls Choir will delight with their tight harmonies. Plan to attend and catch the Spirit of Christmas! 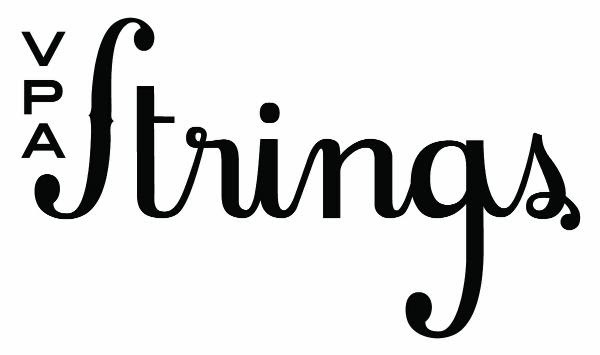 We still have a few spaces open in our VPA Strings Intermediate & Advanced Orchestras (and VPA Children’s Choir). If you can PLEASE share the flier/s below with your private teachers, school music teachers or friends you know who may be interested, we would LOVE to have them join with us. VPA is excited to get started on a brand new opportunity. Rikki Tikki Tavi is adapted from the Jungle Stories of Rudyard Kipling. A brave mongoose saves a British family in India from marauding cobras. The storyteller weaves this magical jungle tale filled with cobras, monkeys, wolves, crocodile, a camel, an elephant and the wily mongoose, Rikki-Tikki-Tavi. Young actors 4th-8th grade have already signed up for auditions and rehearsals will begin in January. Mark your calendars now for the performances on Saturday, January 30 at 2:30 and 7:30. More information can be found on our website. This will be an exciting adventure for young performers to hone their acting skills and have fun with their castmates. If you have questions, please email sherwoodmusical@gmail.com.